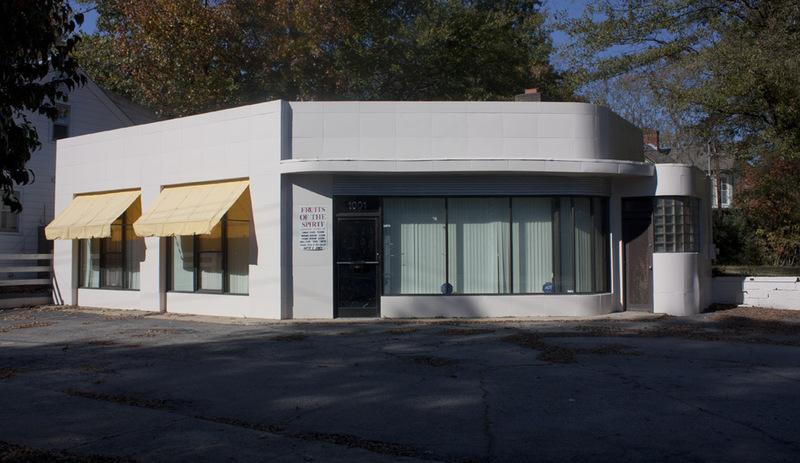 Formerly Dodson's Glenn Esso Service Station - renovated by Neighborhood Housing Services in ~1981. There's got to be a great story behind the crashed fire truck. Gary or anybody else know it? 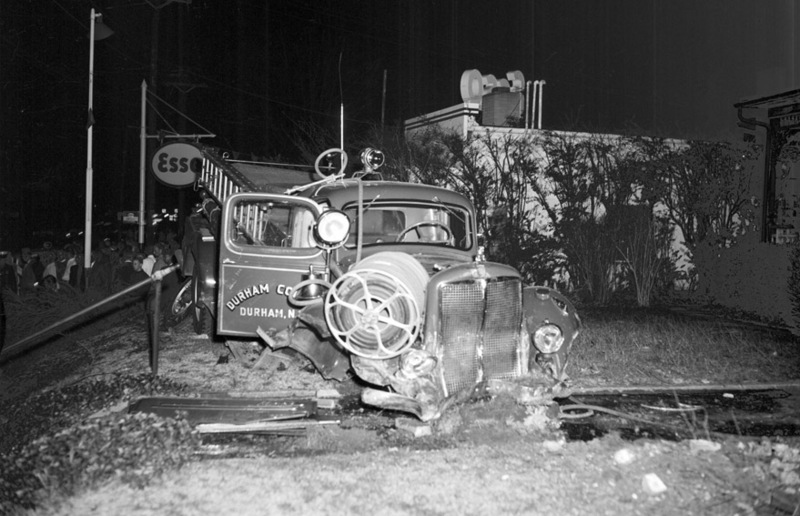 I read an article in the Carolina Times that told of a bizarre accident that involved one of the first Durham fire trucks. The accident happened on Avondale . The picture in the Carolina Times shows the fire truck hanging over the guardrail. Search the Carolina Times website circa 1958 between August & early Sept .This may be the same truck, same area. Constructed ~1950, this service station is listed as Dodson's Glenn Esso Service Station in the 1951 city directory. (Run by Glenn Dodson, who was the only resident of Mary Street, which ran from "1700 block of Avondale, east to East Trinity." Not sure I understand that. 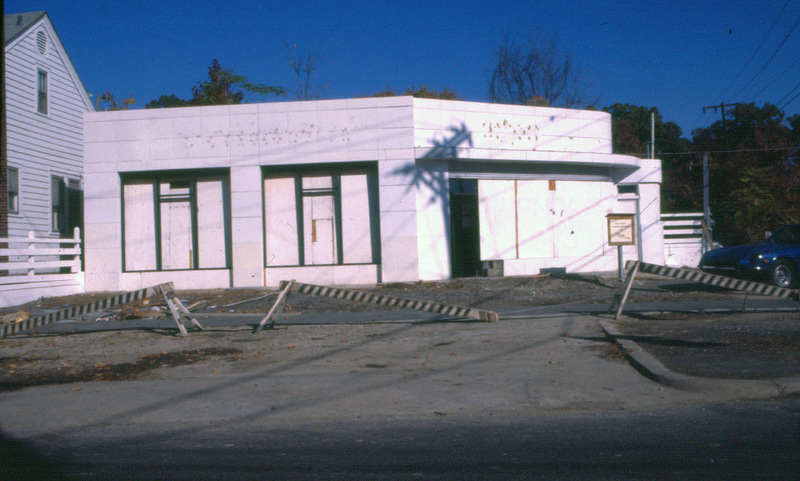 By the late 1970s, at the latest, the service station was defunct. large windows covered with awnings.